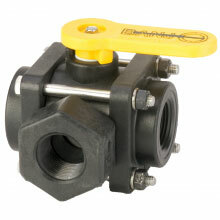 3-Way Valves are used in various Agriculture and Industrial liquid flow applications. 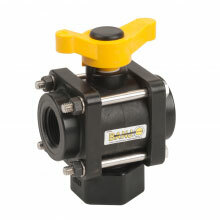 3-Way Valves are available in various threaded configurations, glass injected polypropylene and/or stainless steel materials, and range from 3/4 to 3 in size. Stubby Valves are great when working in tight spaces.